Visio Lending CEO, Jeff Ball, wrote a great article last week reviewing some important reports from the Federal Reserve. 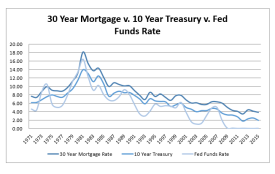 Entitled "Mortgage Rates, The Economy & its Effect on Real Estate Investors," the article makes some astute observations about 30 year mortgage rates, 10 years treasury rates, and the Fed Funds Rate. We at Glassridge are in total agreement with Mr. Ball’s outlook and predictions, and wanted to share his article with a bit of our own commentary. What Does This All Mean For Real Estate Investors? Now, before we delve deep into the nitty gritty details, we would like to include a few general beliefs that everyone at Glassridge shares with Mr. Ball. Specifically: while nearly recuperated, with some local markets seeing rises that exceed 2006 - 2007 levels, overall the U.S. real estate economy is still seeing slow (2 - 5%) annual growth, at best. There is more stability in the market today than 10 years ago, primarily due to a more tightened lending environment and more caution on the part of many speculators… however the following points are all worth keeping in mind. The pictured graph shows the correlation between the Federal Funds rate, 10-year U.S. Treasury constant maturity rate and 30-year mortgage rates. 1 This graph shows a lot of key details to help us all understand & predict the current and future conditions of the economy. Observation 1: Mortgage Interest Rates Remain At Historic Lows. Over the past five decades there has been a steady trend: the average mortgage interest rate hovered somewhere between 5.5 and 6.5%, excluding of course, the peak in 1981, and the notable spike in 1974. That should then give us some perspective into the current market. To put it clearly: mortgage interest rates are lower now than a year ago. Observation 2: A Long-Term Downward Trend. Since their peak in 1981, it is evident that all 3 indicators have been trending downward steadily. This is somewhat a double-edged blade. On one hand, on a 25 - 30 year cycle, we’d expect them to begin climbing soon. On the other, so far there haven't been many major indications of this happening. Additionally, throughout the world there are similar trends that can be found in most developed nations including: Germany, UK, Japan, Canada and many more. When the Fed decided to drop the short-term interest rate known as the Funds Rate to near zero, this was the first time in 50 years that this rate notably separated from the trends in the 10-year US Treasuries and 30-year Mortgage rates. The near zero Federal Funds Rate is bracing not only the U.S. but also global financial markets, providing historically inexpensive capital to banks. To put it simply, we are still somewhere in the middle of a real estate growth cycle. It’s not the cheapest time to buy (2008 - 2009 have passed), but it’s still historically one of the most inexpensive times to finance real estate purchases. In spite of the cheap financing options, growth is still relatively slow in the U.S. (and across the developed world). This looks to be likely the case for the foreseeable future. Plus, with the Federal Funds Rate de-coupling from 10-year Treasuries and 30-year Mortgages, and predicted slow growth over the long haul, the Federal Reserve will remain exceptionally careful about raising rates, for fear of derailing the still somewhat fragile recovery. So at the risk of stating the obvious, investors should always be cautious with their funds. But from the look of things, it seems as if the worst is behind us, at least for the time being. The economy is better than it was a decade ago and it looks as though it will continue to improve, or at the very least, stabilize. Essentially, time is of the essence for those investors who know the value of taking risks at the right time. 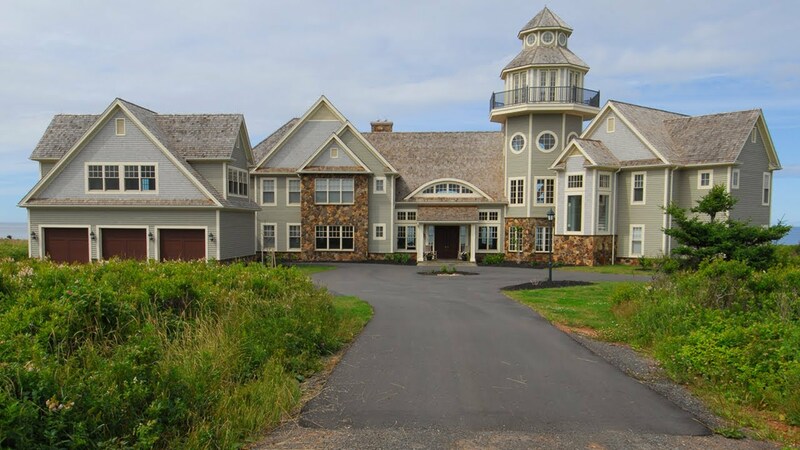 There's no time like the present, and now is definitely a good time to invest in real estate. So whether you’re in a hot market adding value with fix & flips, or in a more cool market buying up & building an extensive rental property portfolio while financing remains cheap, only the most savvy of investors will seize this opportunity. Don't miss out on this historical occasion!